Fully integrated, automated prescription-filling systems provide the technology for higher levels of patient care and also help control health care costs. These systems enhance pharmacy efficiency with high-speed dispensing, are 100% accurate for drug and strength, reduce cost per script and increase capacity without adding staff. up to a 4-color process. 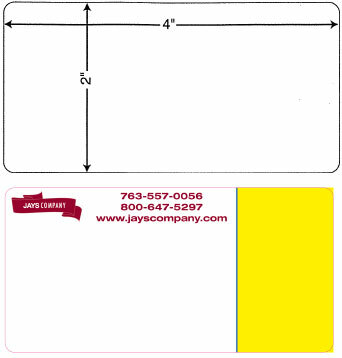 5 7/8" x 1 13/16"
Please contact Jays for sizes not shown.